We're thrilled you're interested in continuing past your free trial! We'll show you how to upgrade to the Plus Plan for Small Businesses in the steps below, or click the "Activate Plus Plan" button. 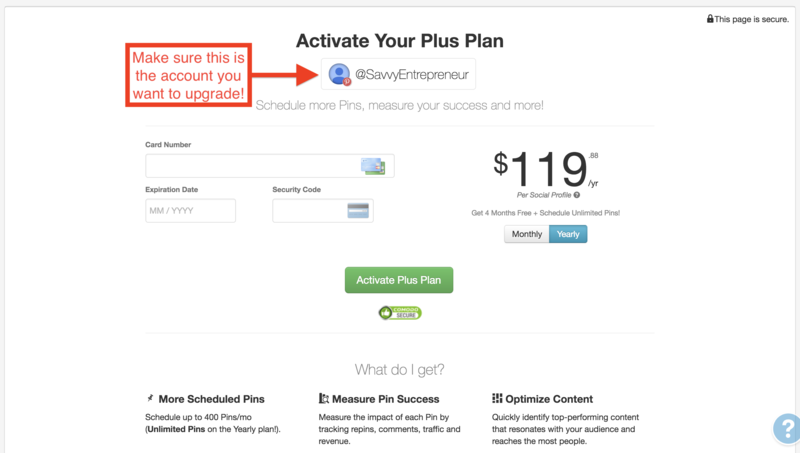 On any page in Tailwind Dashboard, click the "GET PLUS" button. 4. Click "Activate Plus Plan"! Important: The price reflected is what will be charged! If you see a $0 balance, you may have a coupon or Referral Credit applied. Pease note that your next payment will be billed automatically.